Lenovo has surprised us all a few days ago by announcing that the Lenovo Z5 Pro GT will be the world’s first smartphone with Snapdragon 855 chipset, in addition to having 12GB of RAM. The Chinese manufacturer also announced that the Z5 Pro, with its impressive specifications, leads the AnTuTu scoring ranking with 368,480 points. This score not only puts the smartphone ahead of all smartphones with Snapdragon 845 and Kirin 980, but has also surpassed the iPhone XS, iPhone XS Max and iPhone XR with Apple A12 chipset. The image shown above was shown at the launch of the Lenovo Z5 Pro GT. 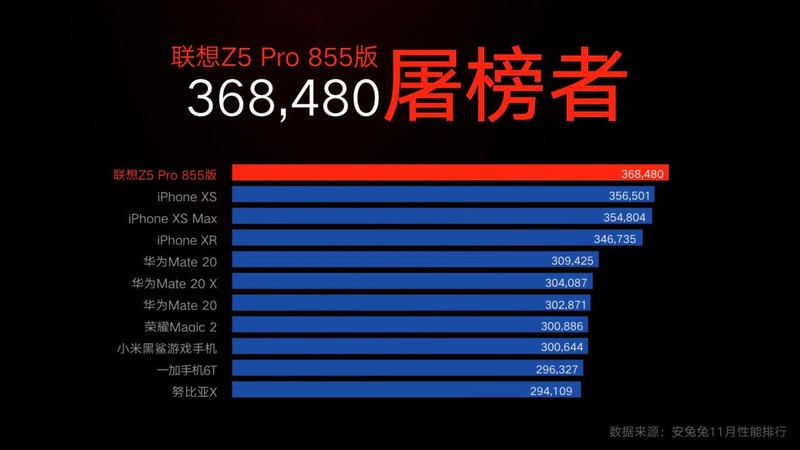 There you can see that the Lenovo Z5 Pro GT is above the iPhone XS, iPhone XS Max and iPhone XR that have obtained respectively scores of 356.501, 355.804 and 346.735. 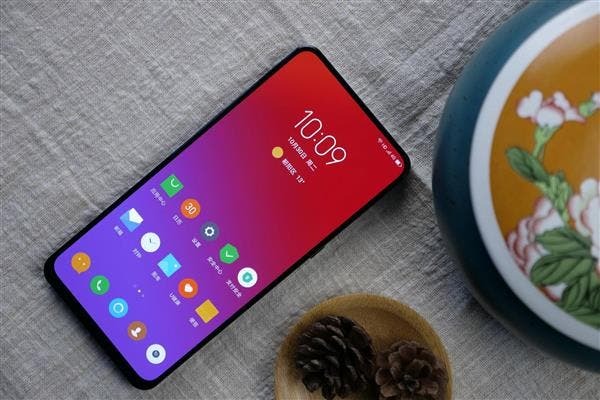 However, shortly after the launch, through Weibo, AnTuTu has confirmed that the Lenovo Z5 Pro GT has outperformed all other Android phones, but also claimed that its score can not be compared to that of iPhones, because Android and iOS platform algorithms are different. It is worth to mention that the Lenovo Z5 Pro SD855 version is the world’s first 12GB LPDDR4x 4266Mpbs device and it has the highest optional 512GB storage. Lenovo officials said that this device runs on ZUI 10 based on Android 9 Pie and supports 4D U-Touch gestures, smooth and non-card end 5.0. On AnTuTu, the running score of the Lenovo Z5 Pro is 368,480 points which outrun the best-performing iPhone XS with 355596 points. In addition, the Lenovo Z5 Pro SD855 version uses a slide-screen, 6.39-inch AMOLED display, supports HDR10 display, and has a 95.06% screen ratio which is the highest ever. This device also supports the fifth generation of photoelectric on-screen fingerprints as well as the zero-light face unlocking. The lights of this smartphone are kept on by a 3350, mAh battery. In terms of photography, Lenovo Z5 Pro SD855 version is equipped with Sony dual rear camera Which includes a 16MP Sony IMX519 sensor + 24MP Sony IMX576 sensor which supports backlight AI, night AI, and video AI. For selfies, this smartphone also has a dual camera configuration – 16MP+8MP AI assisted cameras.